A break room is intended to be a comfortable and relaxing area for employees to unwind, enjoy a meal or a beverage, and get some restoration time before returning to work. A break room should not be a hidden source of bacteria, germs, and viruses that can cause serious health issues to spread violently throughout your company or place of business . Nevertheless, poor sanitation standards abound in break rooms, and neglecting to perform simple sanitation tasks can create huge health risks in your business offices. These five simple sanitation tips can take your break room from messy and dirty to clean and professional in no time. One of the most important sanitation tasks that must be performed on a regular basis is sweeping and mopping the floor of your break room. 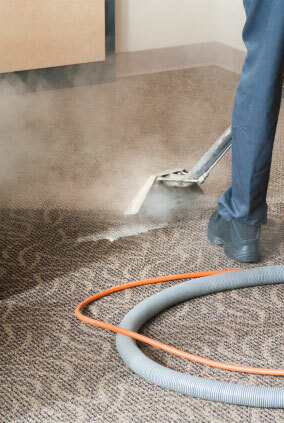 If your break room is carpeted, the carpet should be vacuumed at least once a week. Carpets should be cleaned at least twice a year. If your floor is tiled, it should be mopped daily. Floors that are covered in spilled drinks or crumbs can be a slipping hazard, and the presence of food particles and sugary drinks on the floor are hugely attractive to rodents and insects. Another important sanitation tip for your break room is the regular sanitation of tables, counters, chairs, and other surfaces in the room that employees come in regular contact with. If these surfaces are not sanitized regularly, they can contribute to the spread of germs, bacteria and viruses. Food borne illnesses, such as Salmonella poisoning and E Coli can also be spread through contact with dirty break room surfaces. The easiest way to promote regular disinfection is to keep a container of disinfecting wipes near the break room sink or on the counter. One of the biggest sources of accumulated grease, oil, and dirt in a break room are the major appliances used for the preparation and storage of food. If you want your break room to be free of odors, mold, and other filth, you will need to ensure that the microwave, oven, and refrigerator are cleaned out and sanitized at least once a month. Preferably, these tasks should be tackled on a weekly basis. If you have a pest problem in your break room, it should be dealt with immediately. Traps and poison can be set out for rodents, and insecticides or insect traps and bait can be placed around the edges of a break room to discourage the presence of ants and roaches. One of the simplest things you can do to keep your break room sanitary and healthy is to place waste receptacles in easily accessible locations. It is equally important to make sure that these trash cans are emptied on a regular basis. An overflowing trash can is a problem that no one wants to deal with. If you don't have a permanent cleaning staff that takes care of your break room, the responsibility of emptying garbage cans will have to be delegated to various employees.